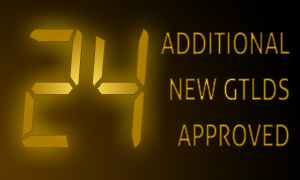 The total number of new generic Top Level Domains that have been approved for release to the Web has reached 225. Within its New gTLD Program, the Internet Corporation for the Assigned Names and Numbers has approved over 200 new generic domain names in order to promote choice and competition on the Internet. Hundreds more new extensions are to be released in the coming months. There is growing interest in geographic TLDs, especially those corresponding to cities, such as .BERLIN, .LONDON. or .NYC. Geographic and IDN domains show that the local ties are valuable. A growing number of websites focusing on local affairs as well as the wide-spread use of mobile devices equipped with geolocation apps help promote local businesses. To check if the domain name that best manifests your local pride or affiliation is available, enter the domain name in the box or fill in the form provided. If you have any questions about new geographic domains or any other domains, please contact our Support Team at support@web-solutions.eu or via phone on +44 (0) 208 133 3994.